1- By the end of our article (in English) titled "Abou Bakr, Omar, Othman, and the Rest of the So-Called Companions Did Not Conspire to Assassinate Muhammad" (found on this link: http://www.ahl-alquran.com/English/show_article.php?main_id=18031), we pose this question: (...who has informed Abou Sufyan, head of the Umayyad faction of Qorayish, as he led the trade caravan to Mecca, that Muhammad and his troops waited for him in an ambush near the Badr water-well?!). We quote the comments we have received in response to this question in the points below, followed by our own viewpoint. 2- This is the comment of Ms. Bint Al-Forat: (... Dear Dr. Mansour, you have posed a very important question about the informant or the spy who betrayed Muhammad and the Yathreb troops by warning Abou Sufyan who led the trade caravan; I tend to think that the culprit was one of the hypocrites of the Yathrebian Al-Aws and Al-Khazraj tribes; this act of betrayal and treachery is alluded to within 9:74, I suppose, right? Thank you ...). This is the comment of Dr. Othman Ali in response to Ms. Bint Al-Forat: (... Thank you for your question, Ms. Bint Al-Forat. I tend to think that the spy/informant who warned and notified Abou Sufyan so that he would change the route of the trade caravan to avoid being ambushed was a man among the affluent Qorayish hypocritical men who immigrated and feigned a conversion and felt afraid to lose the trade money of Qorayish trade caravan that included his money; this spy waited until he collected his money after the Meccans of Qorayish made a peace treaty with Muhammad and the dwellers of Yathreb ...). This is the response of Ms. Bint Al-Forat to Dr. Othman Ali: (... Thank you for your taking time to answer my question, Dr. Othman Ali. Your explanation is logical; the ones who took interest in NOT attacking the Qorayish trade caravan are those hypocritical immigrants who had shares in it and aimed to protect both their money and the money of their Meccan brethren, and thus, one of them informed Abou Sufyan to avoid the ambush ...). 3- We have received via email this very important comment from Mr. Ali Yacoub; his comment has made us write this article you are reading now. Let us quote his comment here: (... Dear Dr. Mansour, ... I felt intrigued by your question about the spy who informed Abou Sufyan of the ambush of the Yathrebian troops to attack the Qorayish trade caravan and the resulting battle of Badr (c. 624 A.D.); this is a possible answer as per my own conclusions: the culprit here was Othman Ibn Affan. The reasons for this answer are as follows: 1) Othman Ibn Affan was a wealthy merchant, and most probably he had shares within this trade caravan led by Abou Sufyan; this is why he desired to protect his money by informing Abou Sufyan about the ambush; in fact, the biography of Othman is filled with signs of his greed for money and his tribalism; i.e., his bias for his Umayyad faction, 2) Othman Ibn Affan did not participate in the battle of Badr under the pretext of taking care of his bedridden wife, Roqayya, one of the daughter of Muhammad, and this way, he had the time and means to notify Abou Sufyan secretly without drawing anyone's attention, 3) since Othman Ibn Affan was an in-law of Muhammad as he married Muhammad's daughter, he was so near to Muhammad and easily knew about the intentions and moves of Muhammad regarding attacking the trade caravan, despite the dominant, false view of historians that secrecy was maintained before the battle of Badr took place and before troops got out of Yathreb to the Badr water-well, 4), Othman Ibn Affan was an Umayyad; he belonged to the Umayyad faction of Qorayish in Mecca; this means he had close ties with Abou Sufyan the head of this faction, this is not to mention the tribalism and the bias for one's tribe; both Othman Ibn Affan and Abou Sufyan were wealthy merchants among the affluent class of Qorayish and shared trade interests and profits; besides, Othman was a corrupt caliph in terms of financial corruption that led people to rebel against him and to the fact that some rebels assassinated him eventually for this reason among others, and 5) hence, it is logical now in light of all this that I assert here that hypocrite Othman Ibn Affan was the informant who told Abou Sufyan about the ambush near the Badr water-well. I hope that my answer to your question is correct. 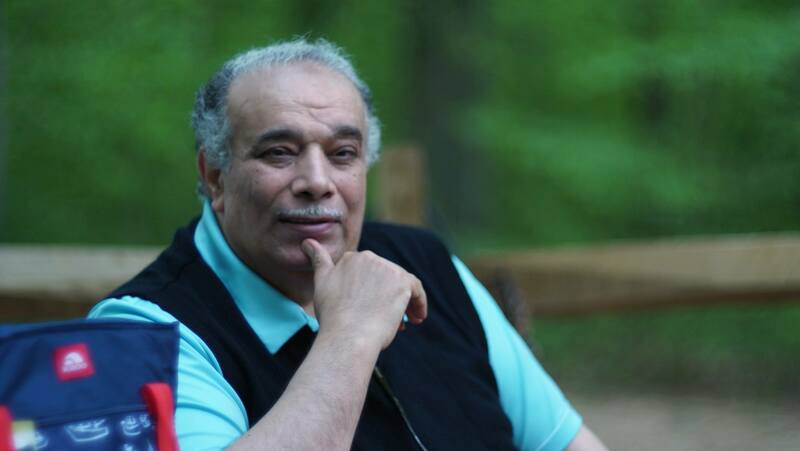 May God bless and reward you, Dr. Mansour ...). 4- We wholeheartedly agree with the point of view expressed in this comment by Mr. Ali Yacoub. We provide more details in the points below. 1- We tend to think that the group of spies/agents sent by Qorayish to Yathreb felt sure that the Qorayish leaders would protect their money, assets, and shares in the trade caravans of the winter and summer journeys, whereas the same Qorayish leaders confiscated the money, assets, and shares of the early believers who immigrated to Yathreb. 2- In return for this, those spies/agents served Qorayish leaders very well and were very loyal to them; they were like dormant cells that waited patiently to attack and move when the ripe time would come after the death of Muhammad; those spies/agents were among those adamant in hypocrisy mentioned in the Quranic Chapter 9, as they concealed their real feelings very well for years; but at the time of the battle of Badr, they were in their early years of their carrier of hypocrisy and serving their Qorayish allies. 3- We tend to think that the man who informed Abou Sufyan about the ambush near the Badr water-well was Othman Ibn Affan, who was the husband of one of the daughters of Muhammad at the time and also the son of the paternal uncle of Abou Sufyan. Hence, once notified, Abou Sufyan changed the route taken by the trade caravan and sent for help so that his Meccan allies would provide military reinforcements from Qorayish tribesmen to protect the trade caravan and face the threat posed by the Yathrebian troops. 4- This treacherous informant, Othman Ibn Affan, fell into the trap of his own evil schemes; God has ordained the battle to take place (and not that the early believers would attack the trade caravan) so that the early believers would smash the awe and arrogance of the Qorayish tribe and its polytheistic, aggressive leaders. We infer this from these verses: "Even as your Lord brought you out of your home with the Truth, some believers were reluctant. Arguing with you about the Truth after it was made clear, as if they were being driven to death as they looked on. God has promised you one of the two groups-that it would be yours-but you wanted the unarmed group to be yours. God intends to prove the Truth with His words, and to uproot the disbelievers. In order to confirm the Truth and nullify falsehood, even though the guilty dislike it." (8:5-8). 1- This man was named Othman Ibn Affan Ibn Abou Al-As Ibn Abd-Shams. His mother was named Arwa daughter of Kurayz Ibn Rabeia Ibn Habeeb Ibn Abd-Shams. This means that his mother was the daughter of the paternal uncle of his father. After the death of his father, his mother married another son of one of her paternal uncles: the Umayyad leader Oqba Ibn Abou Mu'ayat. Othman Ibn Affan inherited the wealth of his late father, and thus, he became among the most affluent merchants of Qorayish. Othman Ibn Affan feigned a conversion to the new faith at the age of 34 and married Roqayya, one of the daughters of Muhammad. Some historians assert that Othman Ibn Affan was tortured at one time by his paternal uncle Al-Hakam Ibn Abou Al-As Ibn Umayya, and this drove him to immigrate to Abyssinia. This historical account cannot be true, because Othman Ibn Affan had a very high stature and was too wealthy and powerful to be harmed by anyone, let alone his own paternal uncle. Another fact that undermines this historical account of torture is that Al-Hakam Ibn Al-As was banished by Muhammad because of his corruption; once Othman Ibn Affan became caliph, he readily made his paternal uncle, Al-Hakam Ibn Al-As, return from his exile. 2- Thus, Othman Ibn Affan was raised among the Umayyad faction of Qorayish, and this fact puts his 'conversion' to question: did he really convert to Islam sincerely, opposed his family and his faction/tribe as the enemies who fought Islam, and he remained a 'Muslim' till his death? Or did he feigned a conversion as a hypocrite and kept close ties with his family and tribe who hated Islam? Once Othman Ibn Affan was instituted as caliph, he showed his tribalism and his bias for his Umayyad faction; he used to hide and conceal such stance because he was a hypocrite. Thus, we tend to think that Othman Ibn Affan was among those who were adamant in hypocrisy during the era of Muhammad in Yathreb; he was among the spies/agents of Qorayish planted in the Yathreb city-state, and he showed his true colors in his old age as a caliph by his financial corruption; this corruption was the primary cause for his assassination. 3/1: The paternal uncle of Othman Ibn Affan; namely, Al-Hakam Ibn Al-As, was banished from Arabia on the command of Muhammad; once Othman became the Yathreb-based caliph after the assassination of Omar, Othman brought back his paternal uncle and appointed his son; namely, Marwan Ibn Al-Hakam Ibn Al-As as the secretary of the caliphate; this man was the real ruler under the protection and within the consent of Othman Ibn Affan himself. 3/2: The caliph Othman made his Umayyad relatives control the caliphate; e.g., he let the governor Mu'aweiya Ibn Abou Sufyan fully control the Levant; he removed the governor/conqueror of Egypt, Amr Ibn Al-As, from his post and appointed instead Abdullah Ibn Abou Al-Sarh who was the brother of Othman Ibn Affan within milk kinship; i.e., both men were breastfed by the same woman. The caliph Othman appointed his relative Abdullah Ibn Amer as the governor of Khorasan, in Persia, and of Kufa, which was deemed as part of Persia, not Iraq, at the time. 3/3: The caliph Othman appointed at one point in time Al-Waleed Ibn Oqba Ibn Mu'ayat as the governor of Kufa despite the fact that Oqba Ibn Mu'ayat (i.e., Othman's step-father and the second husband of Othman's mother) was the man who used to harm Muhammad in Mecca; in fact, Oqba Ibn Mu'ayat was among those killed among the Meccan polytheists in the battle of Badr. Thus, the fact that the caliph Othman appointed Al-Waleed Ibn Oqba Ibn Mu'ayat as the governor of Kufa makes us suspect that Othman was a hypocrite who supported enemies of Islam all the time (i.e., among his Umayyad faction) while pretending to be a Muslim. Al-Waleed Ibn Oqba Ibn Mu'ayat was addicted to wine and used to pray as imam before the congregation in the grand mosque while drunk; he even performed the dawn prayers in four Raqas, instead of two Raqas, as an imam before the congregation because of his drunkenness, and when people told him of his absentmindedness and carelessness regarding prayers, he ridiculed them by saying he would perform as many Raqas as he would choose! Some historians write that some people who prayed after him as an imam heard him prostrating while saying he longed for his cup of wine! Those people were shocked to the core by this impious governor and wondered why the caliph Othman appointed him in this post. Most of the Kufa people hated their drunken governor who seemed never to be sober at all; at one time, they threw pebbles at him because of his sacrilege as he preached the Friday sermon while he was drunk. Al-Waleed led a promiscuous lifestyle and never stopped excessive drinking day or night; when a group of angry men broke into his mansion, they found him inebriated on his bed, while murmuring inaudible words, and when they drew nearer to him, he vomited at their direction; they took his ring out of his finger and they traveled with it to Yathreb, the capital of the Arab empire at the time, to demand from the caliph Othman to remove him from his post, and they gave him the ring and provided their testimony as eye-witnesses that Al-Waleed was drunken all the time. The caliph Othman was infuriated by their impertinence and refused to believe these men, and he indignantly insulted them and drove them out of his mansion. These men went to meet with Ali Ibn Abou Talib, telling him everything; Ali advised the caliph Othman to summon the governor of Kufa to interrogate him. Al-Waleed could not deny anything or defend himself, and Ali said that he deserved a public flogging; yet, the caliph Othman refused to allow such a thing, and he removed Al-Waleed from his post, and he appointed instead Saeed Ibn Al-As, who refused to preach the Friday sermon except after cleaning and purifying the pulpit of the grand mosque in Kufa, while saying that Al-Waleed was a the embodiment of filthy abomination. 3/4: The governor of Kufa, Saeed Ibn Al-As, appeared to be a corrupt man as news of his financial corruption spread in Iraq; he even declared that the farms and rural areas of Iraq are merely the orchard owned and monopolized by Qorayish and no other tribe might benefit from this orchard or even be allowed to own stretches of land in it. A man named Al-Ashtar Al-Nakhay protested outspokenly against this decree of the corrupt governor as Iraq was conquered by swords of Arabs from all tribes and not only by Qorayish tribesmen; Al-Ashtar reached Yathreb along with 70 men of the notables of Kufa to complain to the caliph Othman about this corrupt governor; yet, the caliph refused to meet with them. While those men waited for days to be able to meet with the caliph, Othman Ibn Affan sent for his governors (all of them were Umayyads: Mu'aweiya, Ibn Abou Al-Sarh, and Abdullah Ibn Amer) to consult them about what to do. After deliberation, the caliph Othman decided not to allow the people of Kufa to decide to dismiss any governor as per their whims after being appointed by the caliph himself; Saeed Ibn Al-As suggested that those rebellious men of Kufa would be sent as soldiers in the troops of the ongoing Arab conquests so that they might get killed in any battle; thus, the caliph my get rid of them at last. Amr Ibn Al-As, who hated the caliph Othman who removed him from his post as the governor of Egypt, was notified of this plan; he blew the whistle to his two close friends, Talha and Al-Zubayr, and both men informed the leader of the protesters, Al-Ashtar, about the evil scheme of the caliph Othman. Both men gave Al-Ashtar and his men 100 thousand dirhams to organize the rebels into an armed opposition movement against the caliph Othman in Kufa. Al-Ashtar and his men reached Kufa before the governor Saeed Ibn Al-As would reach it; Al-Ashtar ascended the pulpit of the grand mosque and informed all men of Kufa about the scheme and how he and his men were insulted. The people of Kufa pledged and vowed never to allow Saeed Ibn Al-As to enter into Kufa and to join the rebels. Al-Ashtar sent a letter to the caliph Othman, telling him that the people of Kufa prevented the governor Saeed Ibn Al-As from entering their city because of his corruption and cruelty and not as an act of defiance against the caliph; he advised the caliph to appoint someone else instead. Othman had no choice left but to appoint Abou Moussa Al-Ashaary as the governor of Kufa, but it was too late; the opposition movement inside Kufa against Othman Ibn Affan gained momentum because of the fact that Marwan Ibn Al-Hakam controlled the caliph and the caliphate affairs; the caliph gave him countless sums of money all the time; besides, one tribe sided with the rebels in Iraq because the caliph Othman ordered a public beating of their man, Abdullah Ibn Masood, to humiliate him as a form of punishment. 3/5: The weak, oppressed men in Mecca among the believers were tortured by the affluent, polytheistic Umayyads before leaving to Yathreb; those same people were tortured once more during the reign of Othman in their old age; i.e., the caliph Othman ordered a public beating of Ammar Ibn Yasser for his protesting against his policies; the caliph Othman banished and insulted Abou Zar for his protesting against the policies of Mu'aweiya in the Levant; this made Ali quarrel with the caliph Othman. 3/6: Because of the fact that the caliph Othman was a corrupt person who was biased for his Umayyad faction an refused to introduce any type of reform, desert-Arabs who settled in Egypt and Iraq (and in Kufa, which was deemed as part of Persia at the time) rebelled against him; those rebels gathered and decided to meet with the caliph Othman in Yathreb to file their complaints; they first went to Mecca as if to perform pilgrimage; but they left Mecca to settle in a location near Yathreb to siege it. Ali offered himself to be the mediator between the rebels and the caliph Othman; the caliph agreed to appease the rebels by promising to remove corrupt governors and to restore justice and peace. The rebels believed him and stopped their siege and they returned to their respective cities: Kufa and Basra (in today's Iraq) and Al-Fustat (now an old district in Cairo, Egypt). The desert-Arabs who were returning to Egypt felt suspicious about an adolescent who rode a camel and followed their caravan; it was transpired that this adolescent was Warsh, the servant of the caliph Othman, who carried a letter from the caliph to the governor of Egypt with the command to put the rebels to death once they reach Al-Fustat, the capital of Egypt at the time. Of course, this letter was written by Marwan Ibn Al-Hakam. Shocked and infuriated, the rebels returned to Yathreb after gathering the rebels from Basra and Kufa once more; they terrorized the dwellers of Yathreb with their violence and swords; they sieged the mansion of the caliph Othman; they negotiated with him, but he denied sending any messages to the governor of Egypt at all. The rebels suspected that this letter was written by Marwan Ibn Al-Hakam and demanded that the caliph Othman would allow them to capture this corrupt man; yet, the caliph adamantly refused. The infuriated rebels demanded that the caliph Othman must resign as he was not fit to rule as caliph; again, the caliph Othman adamantly refused, while asserting that he was appointed as caliph as per God's Divine Will. The rebels sieged his mansion for 49 days and stopped any water to be brought to him. When the rebels were informed that troops are coming to save the caliph Othman, they readily broke into his mansion and promptly assassinated him on Friday, the 27th of Zu Al-Hijja, in 35 A.H.
3/7: After his assassination, the caliph Othman left 150 thousand dinars and one million dirhams and assets, stretches of land, orchards, and farms estimated to worth more than 100 thousand dinars, not to mention the huge number of horses and camels. 3/8: Hence, the true nature of Othman Ibn Affan as a cruel, corrupt person appeared after he became an absolutist ruler; this is typically expected because of his Umayyad background; the Umayyads remained the arch-enemies of Islam. This means that Othman Ibn Affan was among those adamant in hypocrisy and got very near to Muhammad (by marrying two of Muhammad's daughters) while carefully concealing his hatred towards Islam and feigning to be a Muslim, but indeed, he was a hypocrite and an agent/spy of Qorayish. Let us briefly tackle below this stage of the life of Othman Ibn Affan. In light of his Umayyad background and 'Umayyads' caliphate, we re-visit and re-read his deeds which many people assume them to be 'good' deeds. 1- Othman Ibn Affan got married to Roqayya, one of the daughters of Muhammad, and when she suddenly died, he married another daughter of Muhammad named Um Kulthum, who in her turn died shortly afterwards so suddenly. Undoubtedly, this is a very unique case of someone who was very close to Muhammad, but at the same time, he was a treacherous spy and a hypocrite who concealed his hypocrisy from his father-in-law; we tend to think that Othman Ibn Affan might have killed both of his wives, Roqayya and Um Kulthum, with poison lest they should expose him to their father, Muhammad. This guessing is asserted by the fact that the history of the Umayyads is filled with assassination with poison within intrigues to get rid of their enemies and foes if they pose a threat to their interests. 2- Historian mention many details about how Othman Ibn Affan acted as the mediator so that a peace treaty was reached between Muhammad and Qorayish; since we assume that Othman Ibn Affan was the spy of Qorayish who served his Umayyads allies, it is no surprise that after his peace treaty, the two most famous military leaders of Qorayish left Mecca to settle in Yathreb after feigning their conversion to Islam after years of fighting against Islam: Amr Ibn Al-As and Khaled Ibn Al-Waleed; we guess here that their coming to Yathreb (and getting too close to Muhammad) was part of the plots of Qorayish executed carefully by Othman Ibn Affan. 3- Othman Ibn Affan was known to be a very generous man during the era of Muhammad; this means he donated a lot to the poor (hypocritically done in public, of course) and to the self-defense military endeavors to dispel any doubts and suspicions and to gain fame and stature among the Yathrebian society. This means that when Othman Ibn Affan donated lots of money within the self-defense military endeavors during a battle that occurred after the Qorayish tribesmen and the Meccans were defeated and converted to the religion of peace (and feigned to convert en masse to the new faith), Othman Ibn Affan did this in light of his financial interests with Qorayish and its trade caravans within the winter and summer journeys; as Qorayish gradually assumed its authority over Arabia. Some tribes disliked Qorayish and Yathreb and attacked Yathreb with their troops at the time; this entailed that the Yathrebian troops had to face these aggressors outside Yathreb in hot, scorching weather; this made the explicit hypocrites very reluctant to participate in the self-defense endeavors; Qorayish tribesmen had to participate in order to protect their trade caravans controlled by the Umayyads who led the winter and summer journeys. 4- During the caliphate of Othman Ibn Affan, the Arab conquests went on in the East in (Asia) and in the West (in North Africa, south of the Mediterranean Sea); the caliph Othman commissioned the building of a huge Arab fleet to fight the Byzantines and also to control the Red Sea. Let us remember that the first wave of immigration was not to Yathreb but to Abyssinia, in Africa. Thus, the Qorayish tribe in its focus on the international trade within the winter and summer journeys of the trade caravans aimed to invade many territories to control the international trade routes; the caliph Othman and the Umayyad caliphs continued the same expansionist policies to annex more regions to the Arab empire. 1- For the first time in the field of history researches, we decode, analyze, and read between the lines of history-books accounts and narratives in light of the Quranic guidance and Quranist ponderings to discover and write about unknown-before secrets about those people who lived during the era of Muhammad and those Qorayish caliphs/rulers who emerged after his death. 2- Of course, everything we infer here in this respect is open for discussion and being questioned.